This elegant necklace by Thomas Sabo, made of 925 Sterling Silver, is a perfect fusion of modern design and timeless chic. 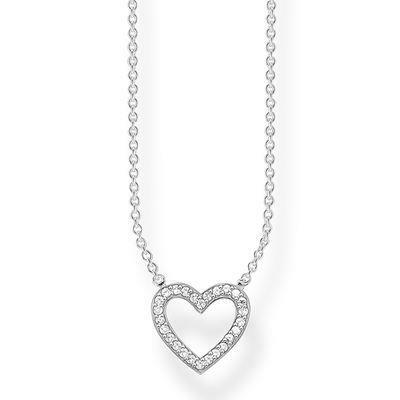 Features a Cubic Zirconia pave open heart charm. Wear for classic elegance and subtle sparkle.